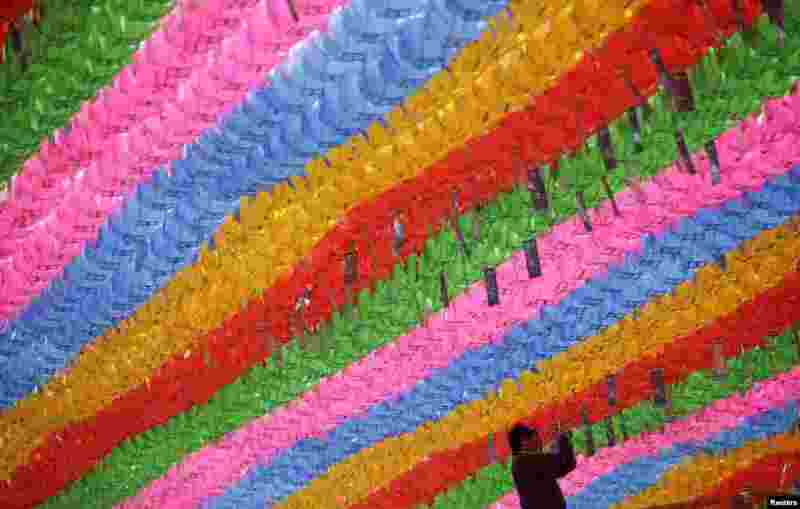 1 A worker attaches prayer petitions, with names written on cards, to lotus lanterns in preparation for the upcoming birthday of Buddha at Jogye temple in Seoul. Buddha's birthday falls on May 6 in South Korea. 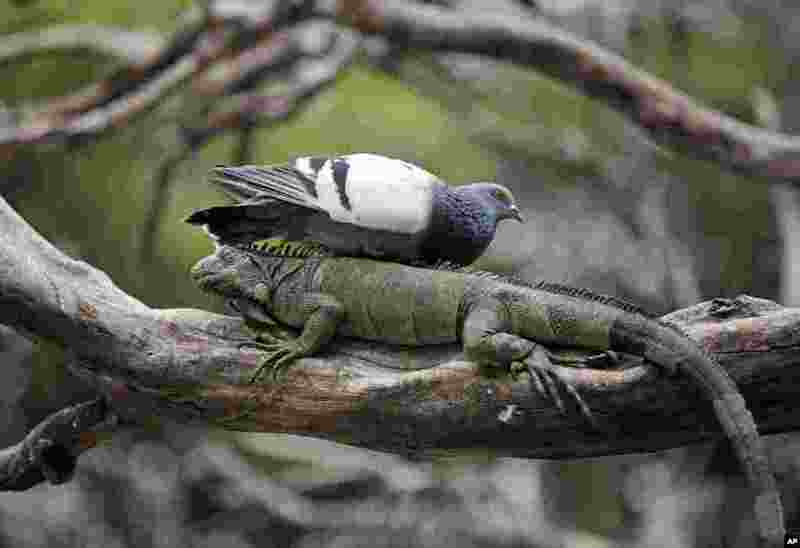 2 A pigeon rests on a wild iguana in a tree inside Seminario Park in Guayaquil, Ecuador. 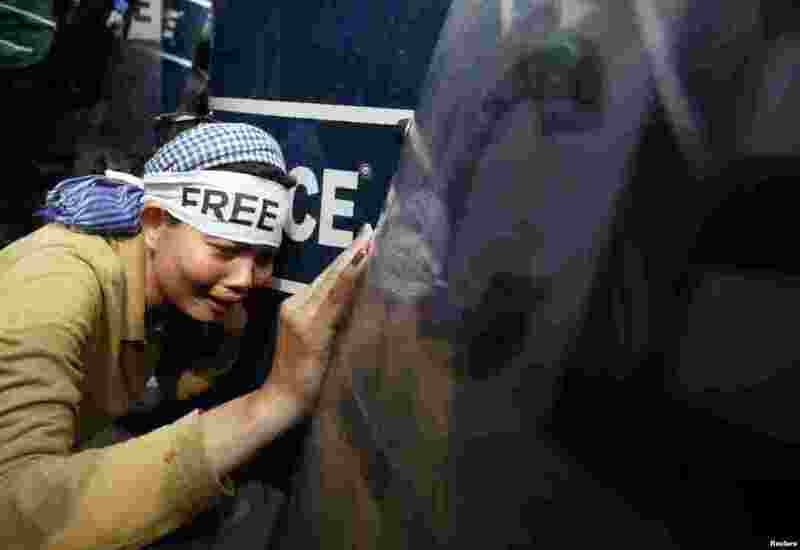 3 A protester cries during clashes with police officers at a demonstration in front of the Phnom Penh Municipal Court, Cambodia. Demonstrators demanded the release of 21 detainees who have been jailed since January 3, when military police opened fire on workers striking over low pay, killing four people. 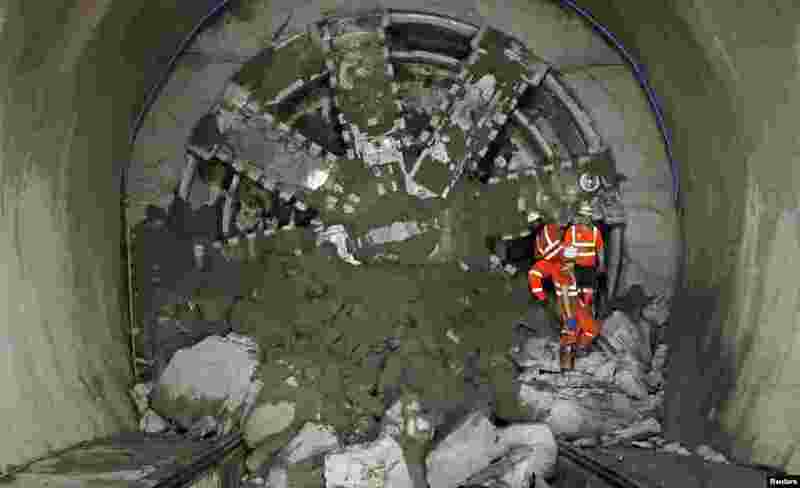 4 Crossrail workers climb out from "Victoria", a tunnel boring machine after breaking through at Whitechapel underground station in London. Crossrail is the largest infrastructure project in Europe and will provide a new link across London which is due to be completed in 2017.